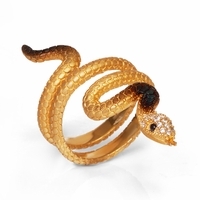 The Spiders & Snakes Collection is part of the Karina Ariana Designer Collection. All pieces are crafted of fine sterling silver with a variety of finishing options including white rhodium, 18k yellow or rose vermeil. 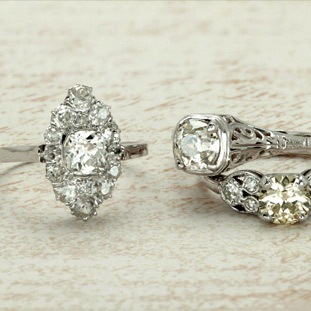 Gemstones are AAA quality cubic zirconia and genuine quartz. 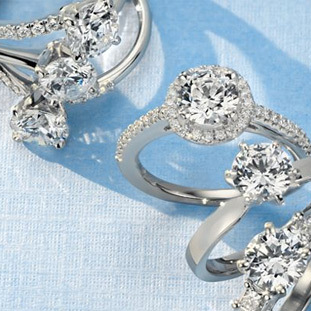 How it's made: The designs are created by Karina Ariana in sterling silver. Then they are plated with 18K white, rose or yellow gold. The plating is 3 microns thick, the highest available. This is the same quality Rolex uses. To get the burned effect on the jewelry, Karina actually uses a jewelers torch and burns the piece with fire. Because each piece is hand made and hand worked with fire, the burnt design will differ slightly between the pieces. Fascinating, Fun & Full of Personality!